This was a cool project that allowed me to go back in time to revisit a process I learned as a kid. 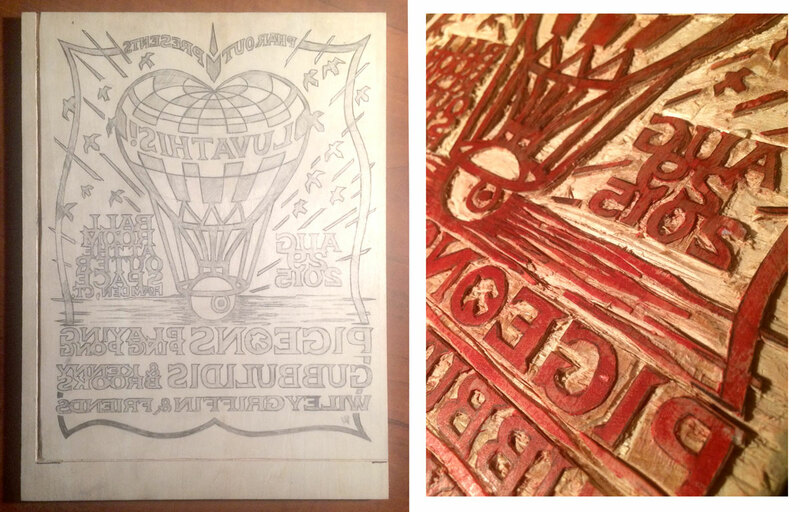 The design took its inspiration from the gorgeous ballooning exhibition letter press posters from France, late 1800s. I then started with a nice piece of Shina Plywood, a fine-grained plywood from Hokkaido, the northern-most island of Japan. 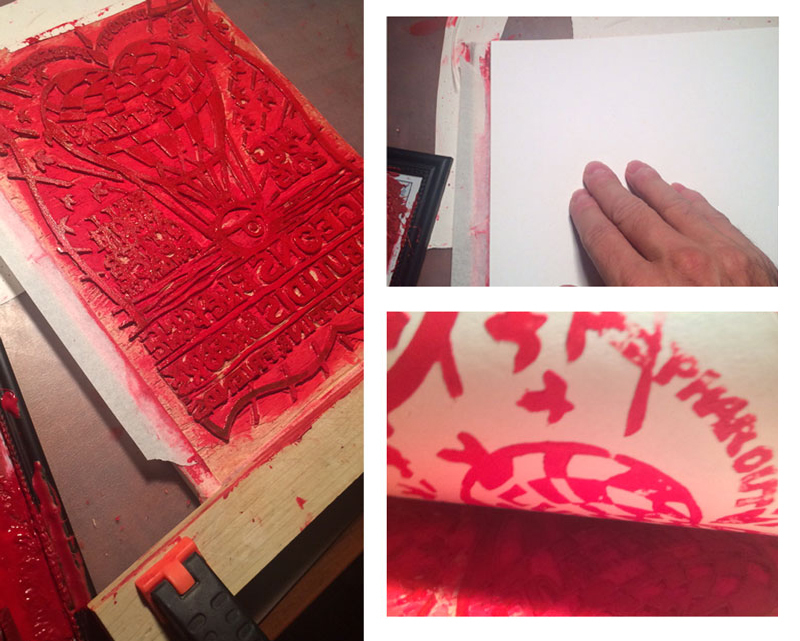 I got to hand-carve this beautiful wood, and then printed the edition by hand. Each is a unique blend of countless variations… ink viscosity and application, the pressure across the paper…It’s an incredibly tangible and tactile process. It creates all sorts of imperfections and natural anomalies… these things make me smile. Edition of 300 Hand printed on 100# French Kraft-Tone paper. 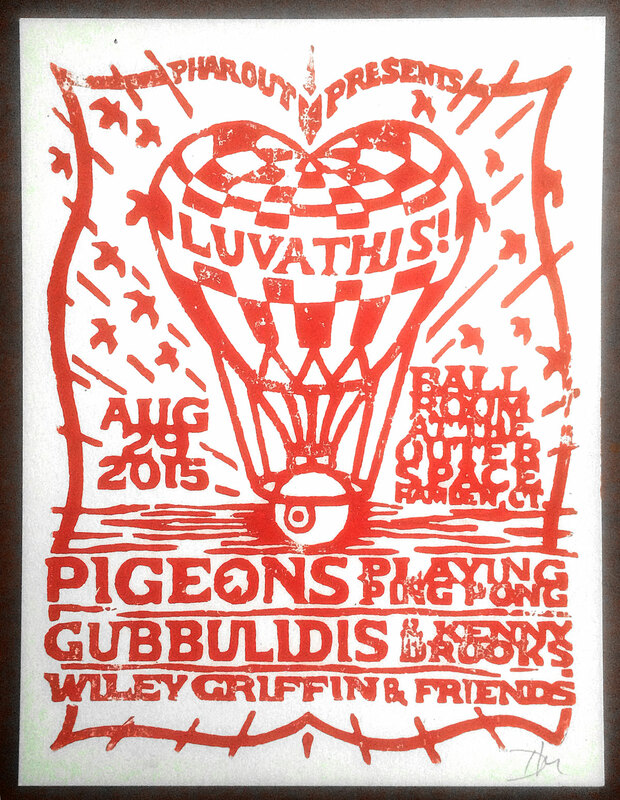 Final Woodblock Print for Pigeons Playing Ping Pong – Aug 2015. 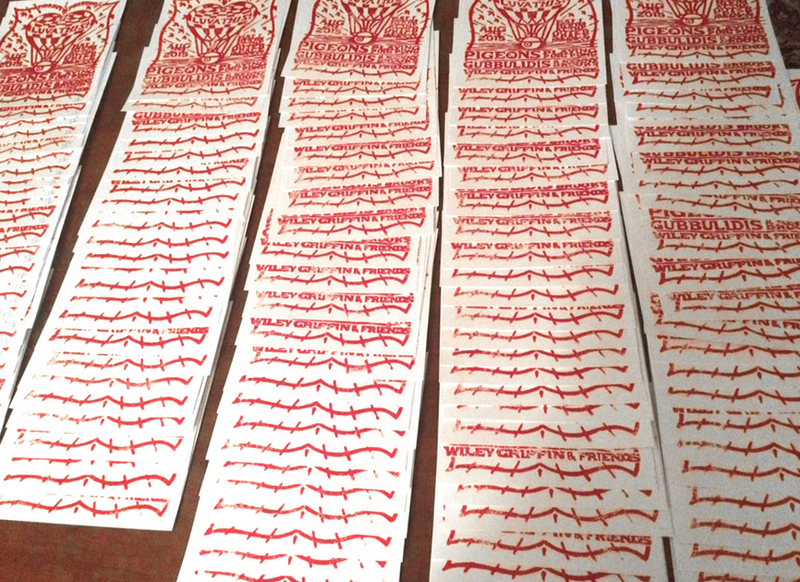 Edition of 300 Hand printed on 100# French Kraft-Tone paper.